When the newspaperman shows up on the corner, looking every bit the part of a newsboy straight out of the 1930’s, Seth is intrigued. When the news in the papers he offers readers begins to take a turn for the bizarre, the grotesque, and the highly-sensationalized, his feelings are steeped more in disgust. Seth and his friends question, not only the newspaperman’s motives, but those of his employer. Seth’s world turns upside down following a visit from the newspaper’s owner, and he and his wife, Meghan, find themselves facing the offer of a lifetime only to see that their joy is short-lived. I don’t often say this, but it’s incredibly difficult to refrain from busting out in a string of “awesomes” and “fantastics” to describe my utter fascination with The Newspaperman by Sal Nudo. I will try to contain my glee and use phrasing that is more in line with a standard review and less like a school girl gushing over a crush, but The Newspaperman is freaking awesome, folks! 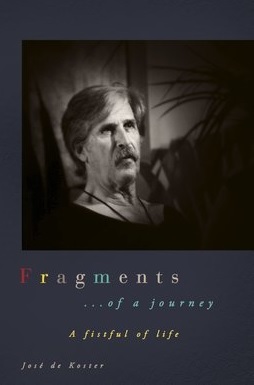 I am not sure what I expected going into the first paragraph, but I do know that Sal Nudo grabbed me, dipped me in a splendid little mixture of visuals, and sat me down in the most fascinating story line I have come across in a long time. His description of the main character, Seth’s, initial encounter with the newspaperman is simply brilliant. Nudo sets up for readers a scenario that will keep them guessing as to, not only the intentions of the highly suspect character, but to the genre itself. By about the second chapter, I had convinced myself that Seth was the only person able to see the newspaperman and was experiencing some type of vision. Nudo, though, weaves such an intriguing tale of mystery that he is able to shift readers from believing they are settling into one genre while he gently places them safely within the arms of another. The commentary on current events Nudo makes with The Newspaperman is spot-on. Without taking a politically-charged stance, Nudo gives readers something to chew on regarding the state of the U.S. and the fate of journalism as we know it. Again, I hesitate to use common and overused phrasing–but I absolutely loved Seth’s letter and the fervor with which he attacks the C-U Journal. The Newspaperman is a quick read. By quick read I mean I was enthralled from the mention of Cedrick, the absurdly out of place yet perfectly fitting newsboy, and couldn’t put the book down. It was a read-in-one-sitting, literally-can’t-put-it-down page turner. That ending, though! Here’s my appeal to Sal Nudo’s sensibilities. I must have resolution. I absolutely, beyond the shadow of a doubt, have to have closure. To say I am bitter about the way Nudo leaves things would be only a slight exaggeration. However, I am ecstatic at the mere notion of a sequel. 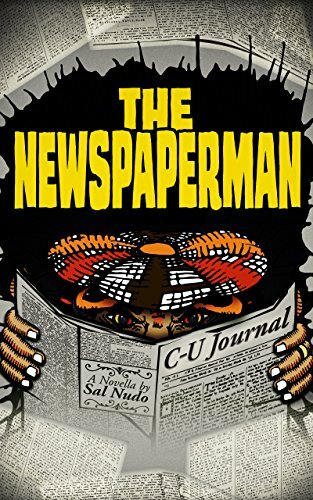 I am, with a ridiculous and overzealous amount of enthusiasm, giving The Newspaperman by Sal Nudo 5 out of 5 stars. There is truly nothing else being written right now that blends genres and makes reading about the current state of affairs in our world interesting while driving home the importance of protecting our journalists and the part they play in keeping us all safe and informed like The Newspaperman. I recommend this outstanding piece by Sal Nudo to fans of all genres–it’s simply a must-read. Posted on September 20, 2018, in Book Reviews, Five Stars and tagged alibris, author, author life, authors, barnes and noble, bizarre, book, book club, book geek, book lover, bookaholic, bookbaby, bookblogger, bookbub, bookhaul, bookhub, bookish, bookreads, books of instagram, booksbooksbooks, bookshelf, bookstagram, bookstagramer, bookwitty, bookworks, bookworm, ebook, fantasy, fiction, fun, goodreads, horror, ilovebooks, indiebooks, journal, journalism, kindle, kobo, literature, mystery, news, newspaper, nook, novel, paranoraml, political, publishing, read, reader, reading, sal nudo, satire, science fiction, shelfari, smashwords, story, supernatural, The Newspaperman, writer, writer community, writing. Bookmark the permalink. Leave a comment.